If your warehouse and materials handling equipment is not performing its best, then neither is your company. Over the years or due to the repeated stress of daily wear and tear, you may find that certain pieces of equipment become run down. Sometimes an accident can even lead to essential parts breaking and limiting your equipment’s ability to function altogether! So what can you do to fix these urgent problems and get your business back to where it needs to be? Get in touch with the experts from S.W. Betz for all of your equipment service and repair needs. What Kinds of Equipment Does S.W. Betz Service? 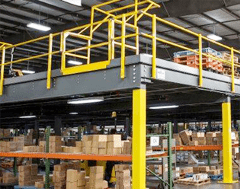 Pallet Jack Repair- Pallet jacks are a must-have for dealing with materials handling, but they can become damaged or cease to work properly and throw off your entire operation. From servicing electric pallet jacks to fixing jams and more, S.W. Betz can make these repairs and get your company back on track. Scale Calibration- Maintaining a properly-calibrated scale can make a huge difference to your company. It is important to know the weight of items you are shipping or selling to the smallest decimal point to ensure that they are priced accordingly and are safe to transport. S.W. Betz’s team can calibrate your scales, old and new, to guarantee they are in good working condition. Conveyor Services- A conveyor can quite literally keep things rolling for your company, so long as it is running. Conveyors sometimes need to be serviced in order to fix issues with their performance, and S.W. Betz’s team is more than capable of creating a solution tailored to your conveyor needs. S.W. Betz performs all of these services and repairs and more- get in contact with us today for more information! This entry was posted on Tuesday, December 16th, 2014 at 2:41 pm. Both comments and pings are currently closed.